It’s raining outside. I do not feel like going out. In fact, I’ve got it so cozy I might stay like this all day, m-kay? 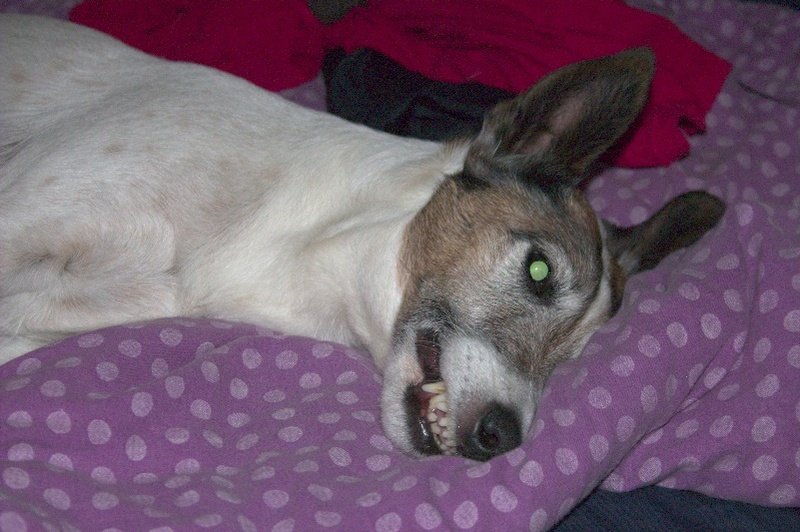 Can you tell that fox terriers have beagle in them? Viggo likes my scent and he likes to make beds out of anything on the floor. 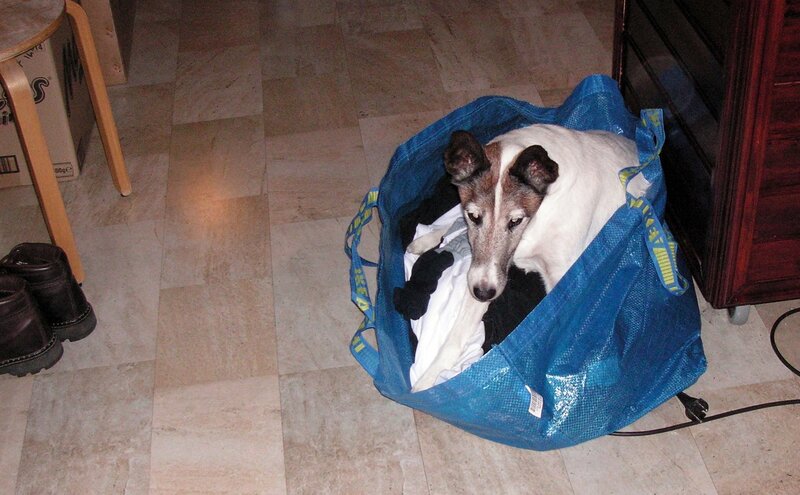 Hence my dirty laundry makes the perfect bed, somewhat silly but still perfect. 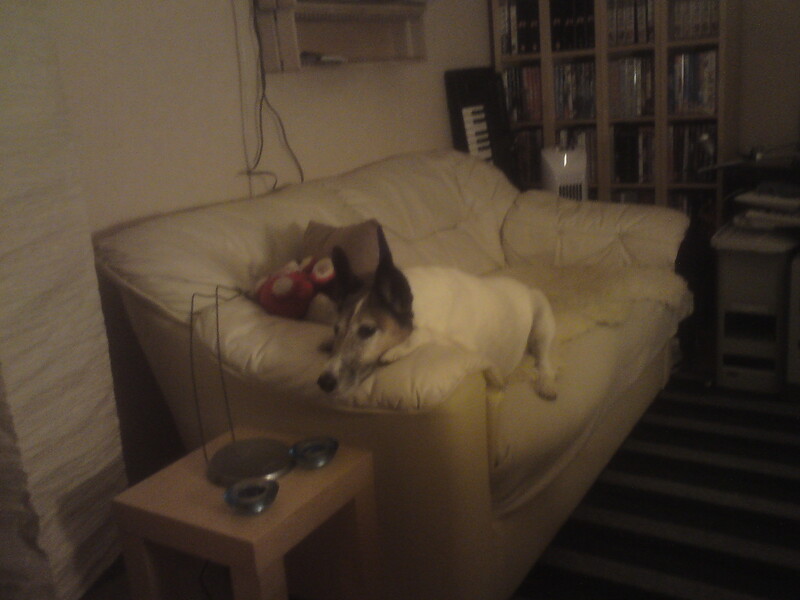 After arriving at my parents house I found that a sofa has been placed in my old room and that Viggo was is fond of it (it is the only sofa he is allowed to lay in). 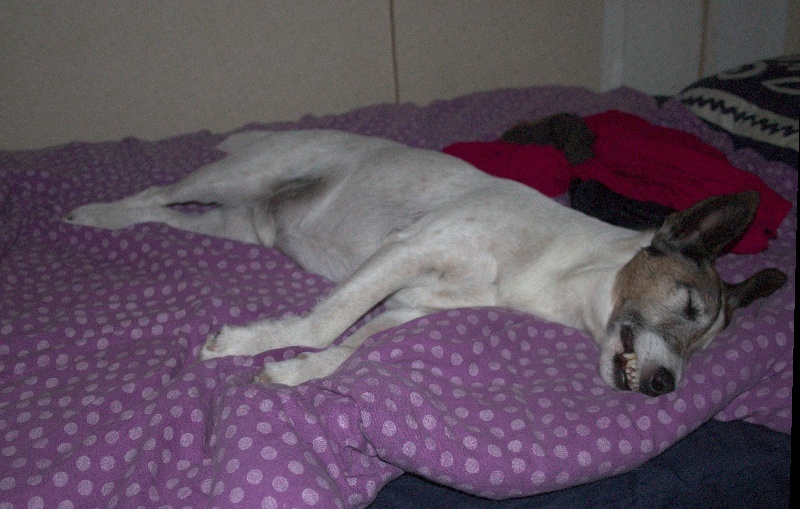 I caught him sleeping on my bed with his lips retracted. 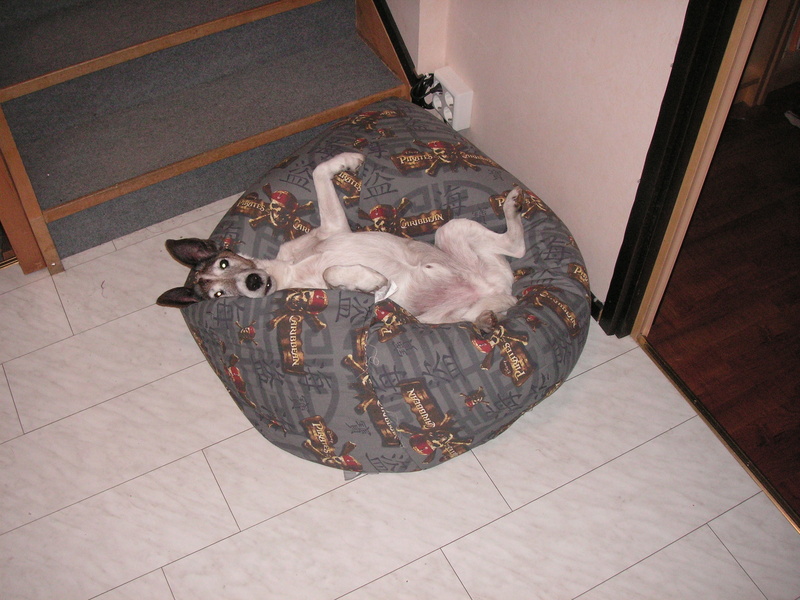 He is one silly dog.